Prince Harry begins a five-day tour of Nepal today, which will include a trek in the Himalayan foothills. The royal has long-wanted to visit the country due to his admiration and respect for the Gurkha troops he served with in Afghanistan. He is particularly keen to see how the country's rebuilding effort is progressing following the earthquake and aftershocks in April last year which killed just under 9,000 people and damaged almost a million houses and buildings. On his itinerary is a trek in the Himalayan foothills and spending a night with a Gurkha family in their home. Harry's tour starts and finishes in the capital Kathmandu, where he will meet the nation's first female president, Bidya Devi Bhandari. Before flying out to south Asia, Harry met members of MapAction, a humanitarian emergency response organisation which helped co-ordinate relief efforts during the Nepal earthquake. Speaking at Kensington Palace to volunteers, the Prince said whenever a disaster strikes there is a "huge amount of interest" before people move on to the next thing. I think, hopefully, by doing this trip it will shine a spotlight back on the issue, and people will realise that there's still a hell of a lot needs to be done. But everyone should know the locals will do their very best to turn the country around, given the opportunity. 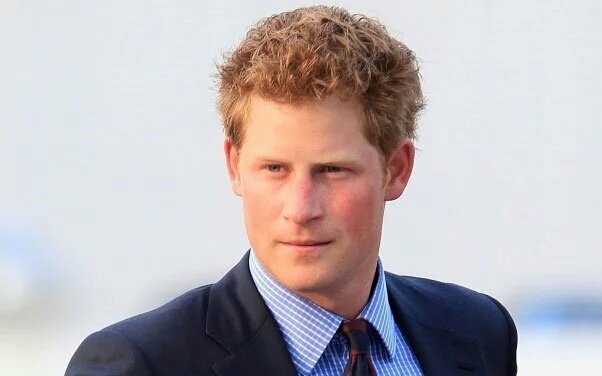 The Prince has already started trending on social media, with users welcoming the 31-year-old to Nepal.